The Queensland Emory Development (QED) Alliance includes Emory University, the Queensland Institute of Medical Research (QIMR) and the University of Queensland (UQ). The Alliance will identify collaborative research opportunities in oncology and infectious diseases aimed at advancing discoveries to the marketplace. A biomedical research and development alliance among Emory University and two institutions in Queensland, Australia aims to accelerate the development of new drugs and vaccines for cancer and infectious diseases. The Queensland Emory Development (QED) Alliance includes Emory University, the Queensland Institute of Medical Research (QIMR) and the University of Queensland (UQ). The alliance was announced today in Queensland by James Wagner, Emory University president; Frank Gannon, QIMR director and professor; and Peter Høj, UQ professor and vice chancellor. The Alliance builds on existing, smaller-scale collaborative relationships among the three institutions to generate a pipeline of exciting new commercial opportunities from synergistic small molecule drug and biologics research. Dr. Liotta received an Honorary Doctorate in Science from UQ today. The QED Alliance, launched by a 10-year inter-institutional agreement signed today, is expected to leverage additional industry, government and philanthropic support beyond what could be achieved without the critical mass enabled by collaboration. In particular, it will focus on building researchers’ awareness of opportunities, resources and facilities available within the organizations to make drug and biologic development in infectious disease and cancer a more efficient process. “The QED Alliance will build a network of researchers that will encourage collaboration through shared knowledge, resources and expertise,” says David S. Stephens, MD, vice president for research in Emory’s Woodruff Health Sciences Center. “This partnership will help bring efficiencies to our common goal of drug development and translational medicine. It will be strengthened by our research synergies, our educational strategies, and our shared vision of potential partnerships with other countries in the areas of vaccines, infectious diseases and translational medicine. The Alliance is one of several initiatives between Emory and Queensland research institutions. The Queensland-US Vaccine Technology Alliance, announced in 2009, combined the expertise of the Australian Centre for Vaccine Development at QIMR and the Emory Vaccine Center. UQ’s main research commercialization company, UniQuest, has helped to establish oncology collaborations with the Emory Institute for Drug Development and a new start-up company, QUE Oncology, for raising venture capital to fund the development of small molecule drug candidates and biological targets. The Queensland Institute of Medical Research (QIMR) is a world leading translational research institute focusing on cancer, infectious diseases, mental health and a range of complex diseases. Working in close collaboration with clinicians, QIMR aims to improve health by developing new diagnostics, better treatments and prevention strategies. QIMR was established in 1945 by the Queensland Government. 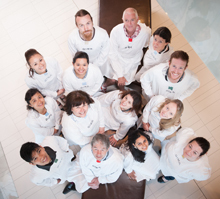 Its facilities include Q-Gen for the manufacture of cell products for immunotherapies at Good Manufacturing Practice (GMP) grade, Q-Pharm Pty Ltd, a clinical research organization conducting first-in-human phase I clinical trials, and the Australian Centre for Vaccine Development. The University of Queensland is one of Australia’s premier learning and research institutions. 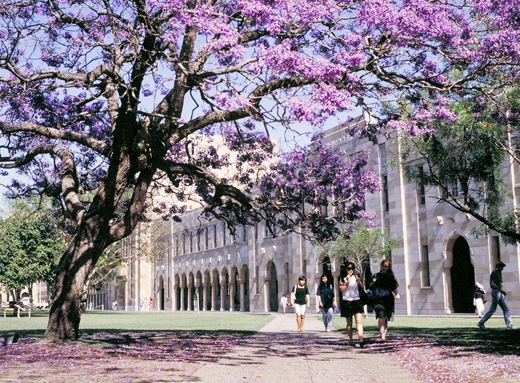 UQ is Queensland’s oldest university and ranks in the top 100 of all universities worldwide as measured through three key global university rankings. Key research centers at UQ include the Institute for Molecular Bioscience, the Translational Research Institute, the Australian Institute for Biotechnology and Nanotechnology, the Queensland Brain Institute and the UQ Centre for Clinical Research. Through its commercialization company, UniQuest Pty Limited, UQ has been highly successful in licensing the cervical cancer vaccine, Gardasil, based on human papillomavirus (HPV) research. Emory University is one of America’s leading research universities, building on a unique combination of campus-based resources and global partnerships. The Emory campus includes 1.7 million square feet of research space, and scientists have attracted more than $500 million in external research funding for the past three years. Emory has an outstanding program in drug development and technology transfer. Its Woodruff Health Sciences Center includes leading schools of medicine, public health, nursing, a primate research center, and the Emory Healthcare system of hospitals and clinics.